Hitachi Solutions is a business application consulting firm and trusted provider of vertical industry solutions built on the Microsoft Cloud. Our mission is to help our clients compete with the largest global enterprises by using powerful, easy to use and affordable industry solutions built on Microsoft Dynamics 365 including Power BI, Cortana Intelligence, Azure IoT and more. Please visit hitachi-solutions.com to learn more about us and start a conversation. Arke is a marketing technology agency based in Atlanta, GA that provides business consultation and technology solutions to more than 300 companies across the United States. Founded in 2005, Arke provides content management systems (CMS), customer relationship management systems (CRM), social CRM, Web and mobile design & development, Intranets and database development to businesses. As the needs of the business community evolve and become increasingly social and collaborative, Arke uses the latest technology to build customized platforms that extend a company’s marketing dollars and shorten the sales cycle. Cobalt is a Microsoft partner with gold competencies in Customer Relationship Management and Application Development. Cobalt has been working with Microsoft Dynamics CRM since 2003 and we have completed more than 160 implementations in that time. Cobalt offers industry solutions for membership management and certification management as well as e-commerce portals and website integration for SMBs. We specialize in implementing CRM as the hub of your operations and ClickDimensions is a key spoke. Cobalt was the #8 ClickDimensions partner worldwide in 2015 and we would love to help you with your implementation and all of your Dynamics CRM needs. eBECS is a specialist in total Microsoft Business Solutions, designing and delivering Lean and agile solutions globally for customers in manufacturing, distribution, retail, services, not-for-profit and other sectors. Tailored to industry and business needs, eBECS’ award-winning solutions cover Enterprise Resource Planning (ERP), Customer Relationship Management (CRM), Mobile, Field Service, Data Analytics, Business Intelligence (BI), the Internet of Things (IoT), and Cloud and Managed Services. eBECS’ solutions draw on the full Microsoft Business stack, including Microsoft Dynamics AX and NAV, Microsoft Dynamics CRM, Microsoft FieldOne, SharePoint Office 365, Microsoft BI and Power BI, Power Apps, and Microsoft Azure. At Fullscope, we have found, through thousands of customer experiences, that it all starts with understanding what your most critical business issues are and how we can measure success against them. Once identified, we place these challenges at the center of your CRM strategy and leverage our IP, methodology, adoption program and continual learning to drive resolution and success. This is how we have achieved some of the highest CRM retention rates in the industry. We can help you to move beyond having your users merely adopt the solution, to a place where they become empowered by it! Alliance by Protech is the first and leading cloud association management solution powered by Microsoft Dynamics 365. For more than 30 years, Protech has devoted its efforts to helping associations better serve their members and improve internal operations through technology. Our partnership with the industry innovators at Microsoft puts Protech’s software on the cutting edge of AMS, allowing associations to realize a significant return on investment. And your staff and members will rave about Alliance by Protech’s out-of-the-box functionality and familiar, yet modern interface. Plus, you can grow at your own pace, adding real-time resources as needed. We look forward to connecting with you! StratusLIVE is a leading provider of cloud-based fundraising and social CRM solutions for nonprofits. Features include: enterprise marketing, business intelligence with advanced analytics, enterprise integration, donor profile management, pledge and donation management, and unlimited customizable online donation pages. 2B Solutions has been working with all aspects of Microsoft Dynamics CRM since v1.2. This includes installation, configuration, customization, development, data import, application integration, reporting and more! Our experience covers general customer relationship management (sales, marketing, customer service) for out of the box implementations as well as custom CRM solutions (commonly referred to as xRM solutions). We’ve migrated data from Goldmine, Act, Salesforce.com, Filemaker Pro, Pivitol, and Motorola 311 System. Depending on the customer needs, we can provide CRM On-Premise, CRM Online, as well as a hosted CRM solution. 4Front Marketing Technologies provides strategic consulting and technology services to assist organizations to devise, refine and execute effective digital marketing programs and navigate the digital transformation facing all organizations today. Our mission is to help our clients deliver a superior customer experience for today’s digital savvy customers. Our team offers a unique combination of expertise in web, social media, creative strategy, CRM and marketing automation, data analytics, and brand development. A Microsoft Dynamics partner, 4Front has the expertise to assist your organization to get the most from your investment in Dynamics 365 CRM/Customer Engagement and ClickDimensions e-mail and marketing automation. ACE Microtechnology, Inc. is a professional services firm committed to delivering business solutions to small- and medium-sized organizations. Our focus is on delivering products and services that improve our clients’ business operations. ACE has developed specialties in serving the manufacturing, distribution and hospitality industries. We bring CRM expertise to include Dynamics 365 for Sales and Customer Service. Our ERP experience includes Dynamics 365 Business Central and Dynamics GP. Rather than just building technology or implementing software, we deliver real business value through industry knowledge and understanding each client’s business. We make it our business to know your business. Enterprise IT consulting firm ACTS is a Microsoft Gold Certified Partner and an approved SharePoint Deployment Planning Service Provider (SDPS) that specializes in installing, supporting and educating businesses on Microsoft Office SharePoint 2013 and its integrated suite of products. ACTS prioritizes enterprise content management and document capture to provide federal, state and local government agencies – as well as private and commercial businesses – with a full range of consultative services regarding the inherent value associated with using Microsoft SharePoint 2013. Acquiresoft Solutions Inc. is a technology consulting established in 2016. We focus on delivering high-quality solutions based on Dynamics 365, SharePoint, Office 365 and .Net development. We have extensive experience with different cloud platforms like AWS, Azure and Google Cloud. Our global delivery model has earned the trust and reputation of being a partner of choice. We have a strong heritage built on great people who put customers first and deliver exceptional results with no surprises. Alternetics is a technology services firm specializing in cloud-based business applications and technology. Our mission is to identify your business pains and then identify technology products and solutions which eliminate those pains. With a focus on cloud based products, our offerings fit Fortune 500 companies as well as small up and coming businesses. With over 12 years of CRM deployment and usage under our belt, it will only take one meeting to realize Alternetics is not your average IT firm. We are located in Birmingham, AL with a southeast service footprint. CBIZ Connexia is a Microsoft Partner and is an affiliate of the nationwide network of CBIZ, a leading provider of financial, employee management and technology services. Who better to understand business and business processes than IT professionals who are also CPAs. We focus on delivering total business solutions that integrate front- and back-office operations and help you to increase productivity, enhance efficiency and achieve greater profitability. We offer software packages from the top industry leaders – Microsoft Dynamics, Sage Software, Intuit QuickBooks and Ascent. Microsoft CRM is a core product for installation and implementation to clients of all sizes nationwide. Century Solutions Group delivers cloud-based solutions to small- and medium-sized businesses. At Century Solutions Group, we do cloud solutions differently. We invest in our people, our technology and training to ensure we deliver the highest level of consulting and solutions for our clients. Leave it to the experts at Century Solutions Group to streamline your cloud solution and deliver unparalleled support services to help you achieve your goals with your budget in mind. We’ve helped Atlanta businesses since 1996, giving us the experience to handle the most challenging and dynamic environments—and we can help you too! Getting your business up to speed has never been easier. 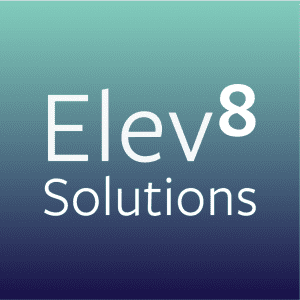 Elev8 Solutions is your single source for Microsoft Cloud Solution licensing, Microsoft Dynamics 365 implementation and support, and real-world training. Some of the world’s best CRM partners, and even Microsoft, leverage the expertise of the Elev8 Solutions’​ team as top subject matter experts when it comes to Dynamics 365, portals and integration with other Microsoft business solutions. Led by a six-time Microsoft MVP, our world-class Solution Architects have 10+ years of Microsoft Dynamics CRM experience with hundreds of successful deployments in multiple industries across the globe. 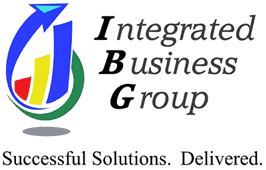 Integrated Business Group (IBG) has been Central Florida’s leader in the business accounting software industry since 1987. By providing superior ERP solutions, we continue to help our customers achieve the strategic advantage necessary to ensure their success. IBG has been a leading Microsoft Dynamics Partner dedicated to the sales, consulting, service and support of Microsoft Dynamics and Acumatica Cloud ERP solutions throughout the United States and Canada. With more than 23 years of experience, IBG has acquired a skilled team of consultants and developers. JourneyTEAM is a Nashville-based company offering business technology solutions to small and mid-size companies. We are a Microsoft Gold Certified Partner specializing in providing solutions that are innovative, cost effective and integrate to foster team collaboration. Our team of experts provide evaluation and implementation in all aspects of these business solutions. In this weak economic climate, companies are re-evaluating nearly every area for savings. You need the best information, knowledge and assistance to remain competitive and profitable. JourneyTEAM consultants understand maximizing hard and soft assets, salesforce automation and optimization, streamlining processes, increasing collaboration and introducing innovation. With more than 30 years of combined experience in information technology, we provide outstanding service and expert support. We’re dedicated to providing the very best tailored-made technology solution to help you “Power Better Business.” We do this with a focus on dependability, customer service and a drive to help your business succeed. By focusing on core product offerings, we provide solutions to your business that empower your marketing efforts, drive your customer service team and incentivize your sales force. https://kraftware.com | Partner Location: Fort Lauderdale, FL. LBMC Technologies, LLC, is the Southeast’s leading technology firm, with offices in Nashville, Knoxville, and Chattanooga. LBMC Technologies provides a variety of products and services including Network Engineering, Business Systems (Microsoft Dynamics GP and SL, Intacct,) Microsoft Dynamics CRM, Software Development, Document Management, Business Intelligence, Project Management, and Training. LBMC Technologies is a member of the 2011 President’s Club for Microsoft Dynamics. Mobius Logic helps clients realize results in a digital world through business technology solutions and cloud-based services that combine insight, innovation and expertise focused on Microsoft technologies. Our people have helped hundreds of SMB and large organizations in all industries improve business agility, employee productivity and customer loyalty. Mobius Logic combines the collective business, technical and industry expertise of its top-notch network of experts with the rigor of an efficient delivery model to provide high quality solutions using proven and emerging technologies with flexible deployment models–on premise, cloud-based or offshore. Neoris is a global business and IT consulting company that specializes in providing application outsourcing services and solutions. Neoris is the one of the largest IT consulting and systems integration in Spain, the largest in Mexico and the second largest in Latin America. Neoris offers systems integration, custom application development, IT consulting, and software deployment and support solutions. The company is a leading provider of nearshore outsourcing services through a global delivery model leveraging six worldwide software development centers. In 2013, IAOP recognized Neoris as one of the best outsourcing service providers worldwide. Relevant CRM’s mission is to help our clients achieve outstanding success in their CRM initiative. For over 15 years, our advice, planning, project management, technical support and training have helped customers build and maintain a customer database that enhances productivity, improves responsiveness and maximizes selling effectiveness. Our customized solutions for the Office Equipment and Heavy Equipment industries help dealers launch a successful system, empower their staff to operate independently and minimize the total cost of ownership. Surucas is a Microsoft Cloud Provider (CSP) located in Miami, Florida. We provide Microsoft Cloud Services to our local customers in South Florida and specialize in Microsoft Dynamics CRM. Our team works with all modules of Dynamics CRM that include sales, marketing and customer service. We provide functional and technical customized solutions to companies looking to use Dynamics CRM at its full potential. We work with many industries that include manufacturing, shipping, transportation, finance and many more. Please visit surucas.com to learn more about our services. Since 1995, TechHouse has worked to develop, implement and support IT solutions based in Microsoft technologies. Since the first release of the Cloud, our team of certified professionals have designed applications that serve thousands of users, and even helped to “write the book” on the Cloud. Alongside Cloud services, we offer systems integration, software design and training in SQL Server, .NET, Visual Studio, eConnect, C#, Dynamics GP, Office 365, Power BI, CRM, Lync/Skype4B, Project, MS Office, SharePoint and Exchange. TechHouse is a flexible team that strives to uphold our core values of Integrity, Creativity, Care for our Customers and Excellence.